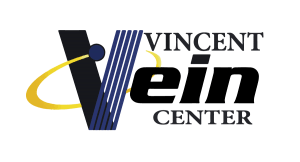 Vincent Vein Center would be pleased to answer any questions you may have about Varicose Vein Treatment or our procedures. Submit your questions to info@vincentvein.com, or simply use the form on the left to contact Vincent Vein Center directly. Can I be permanently cured of varicose veins? Although varicose vein treatment is extremely successful in repairing abnormal veins, the disorder cannot be permanently cured. The treatment of the abnormal veins does not remove the tendency of a person to develop varicose veins. Therefore, some patients may need to return for maintenance treatments after their initial treatment is completed. How will the blood in my veins get back to my heart after all of the abnormal veins are treated? The backward flow of blood in varicose veins and in the main trunks of the venous system actually interferes with the normal venous return of blood. Removal of these abnormally-functioning veins actually improves circulation of blood in the treated limb. It is this improvement in limb circulation that causes improvement of symptoms of tiredness and heaviness in the limb. Do you do vein stripping? We do not perform vein stripping at Vincent Vein Center. We prefer to utilize more modern options for treatment that are equally or more effective than surgical stripping. Our methods reduce patients’ recovery time and are much less traumatic to the body than stripping. This means that our patients experience less pain and scarring, and are able to return to work and activities of daily living much sooner than with stripping. Vincent Vein uses a laser in conjunction with sclerotherapy to shut down and seal diseased veins, causing the blood to be rerouted to healthy veins. The body will absorb the unused vein over time. Most patients do not experience any complications from sclerotherapy. However, some patients develop changes in skin pigment in locations where the veins are injected. Rarely, a patient may develop an allergy to the medication. Serious complications such as deep vein blood clots and unintentional arterial injection occur very rarely. For the treatment of the visible varicose veins to be effective and to last a long time, the varicose veins beneath the surface (which are typically not visible to the eye) must be treated as well. From a practical standpoint, some insurance carriers will not pay for treatment of branch varicosities if an abnormal main trunk is not also treated. Why do health care providers recommend compression stockings? The properly fitted gradient compression stocking can bring about temporary relief of the symptoms of varicose vein disease as well as help prevent skin damage. Many insurance companies require a trial of stocking use before approving definitive treatment.